I was naive when I first started riding at this level. 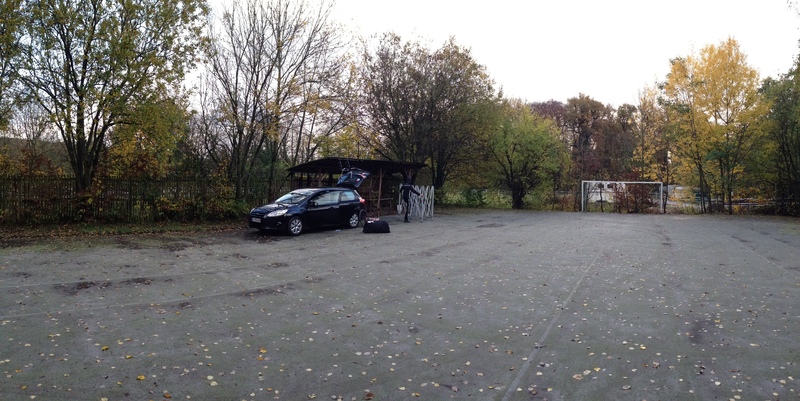 I came to Koksijde a year ago and had this novel idea that cyclocross courses were made to be ridden in their entirety. I learned after I saw the footage on the tv later that evening that even the pros were running sections. In fact I had been foolish to have even tried staying on my bike for as long as I had, I lacked the experience to know when I should just hop off and go. 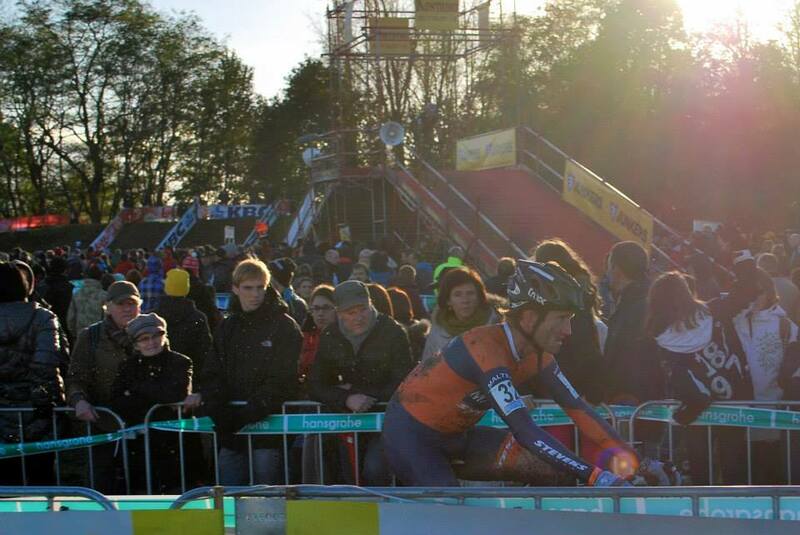 I learned already in Valkenburg this year that courses here are made to be evil. Hard, extremely challenging, and often downright unpleasant. 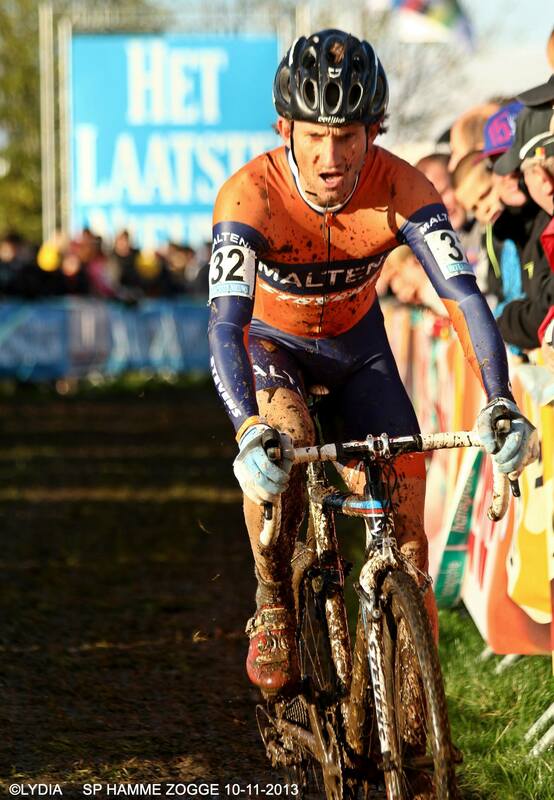 Cyclocross at it’s best! It felt good returning here. More experience under my belt, a bit more power in my legs. I had forgotten however how unforgiving the sand is here though. A single mistake and you are dead in the water. At one point I watched Van Der Haar disappear off effortlessly through it in front of me but was still left feeling positive about tomorrow. 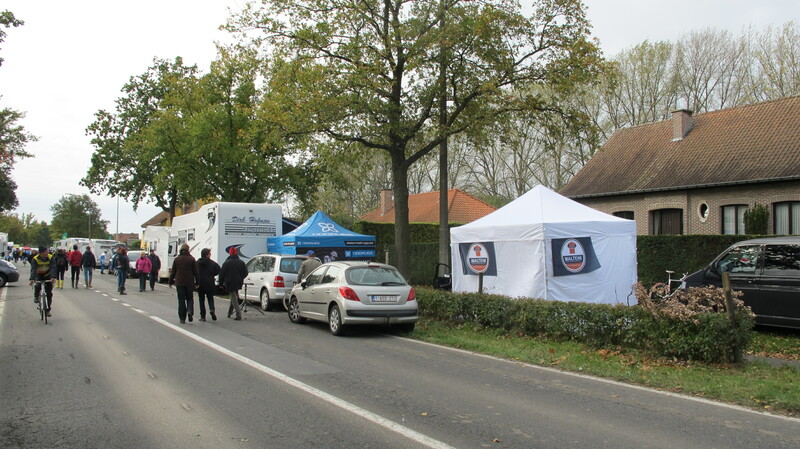 Although after we received the start list for the race I discovered that there will be 54 riders lining up at the start. I will need to finish in the top 50 to have any chance of winning prize money, so the pressure will be on. I am kind of looking forward to that bit though. Another good thing is the drive to the race in the morning. We are staying in Bram’s parents-in-laws apartment, 200m from the beach and a 5-10min drive from the course. A lay-in and late breakfast for us tomorrow! 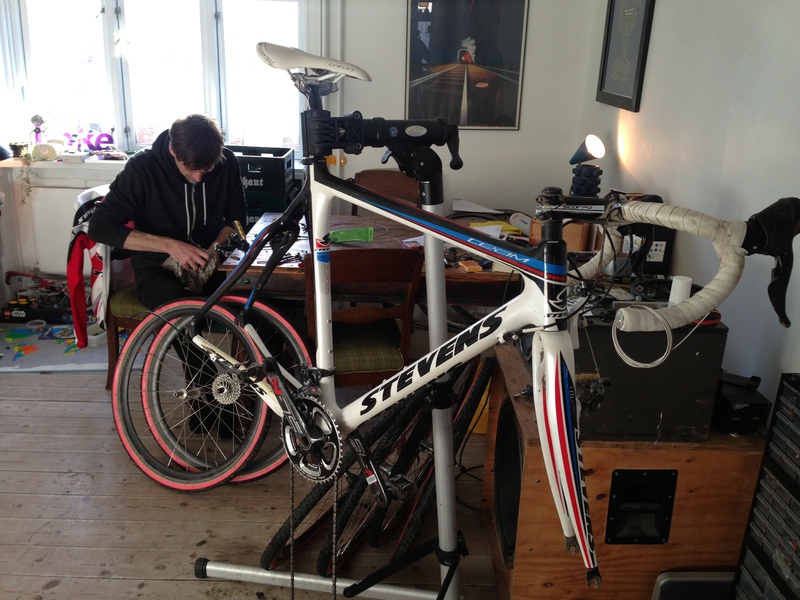 We were supposed to be racing in Helsingør today, but our ride broke down while still in Sweden. Both Bender and I were none too enthusiastic about the idea of catching a train up there so we decided to dedicate our Sunday to ‘fixing’ the bikes. 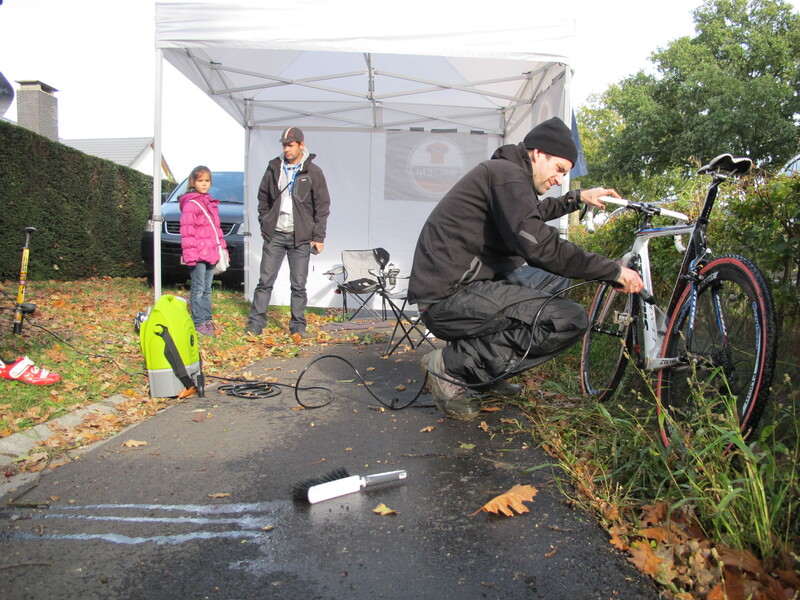 After the infamous Wiesbaden-Hamme Zogge-Hellcross weekend we noticed that the bottom brackets, pedal bearings, jockey wheels, and brake cables were either completely shot or needed a bit of TLC. I saw this as an opportunity to do a little product testing. 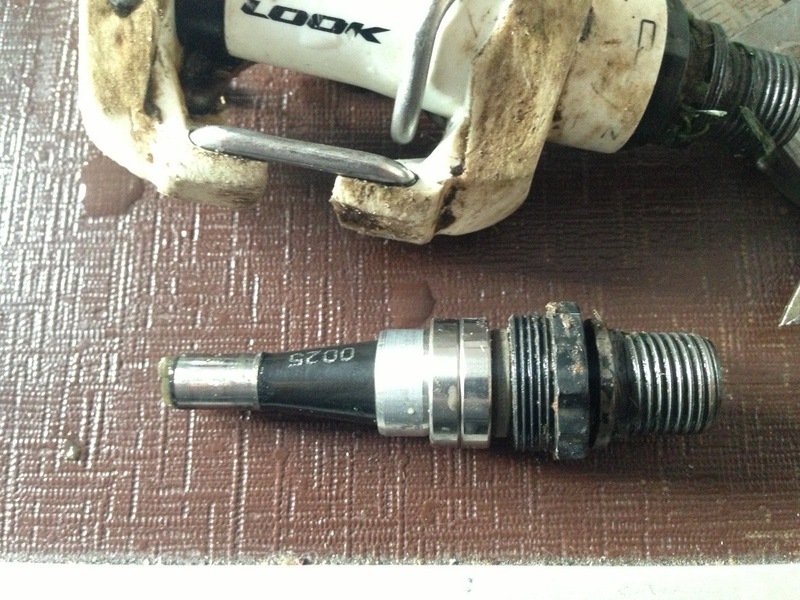 For those of you that remember the ‘good old days’ when bikes had square taper bottom brackets that lasted at least a couple of years, this outboard BB thing that has supposedly increased the stiffness and made maintenance easier has also increased the number of BB’s that you go through so that you count their lifetime in months not years. 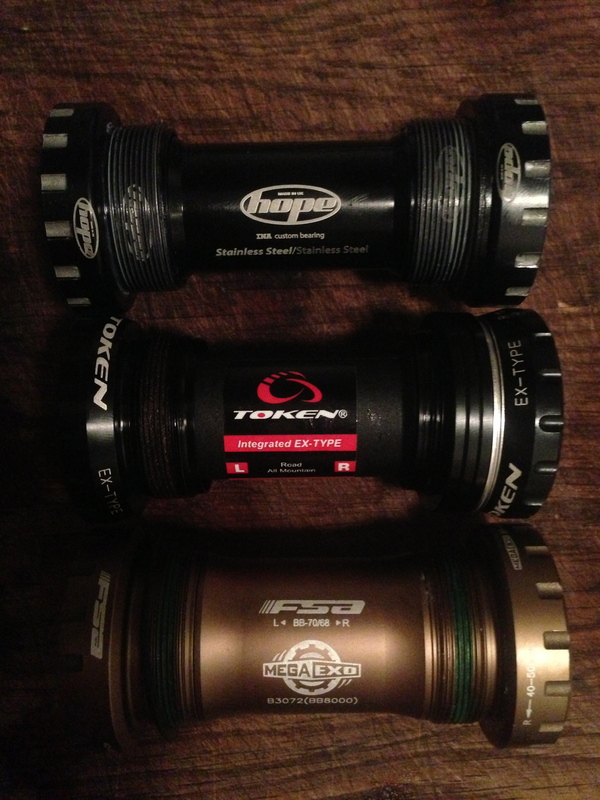 The two FSA BB’s that came on the bike had done just 7 races. Talk about torture testing! The mud and pressure washing was apparently too much for them, one was dead and the other definitely worse for wear. Now in the sponsor vacuum that exists regarding small parts in Team Malteni/Stevens it was up to me to figure our what to do now. When a salesman from T-Bikes came past the shop with the new line up from Token the other day he had a nice shiny new BB with him and I saw the opportunity this season to do some testing. He was kind enough to give it to me when I suggested to him my plan. I decided to put it up against a Hope BB, valued at more than twice the price it should make for a good test of value for money. The pedals came next. They couldn’t even turn around any more. In Look’s defense all my pedals are at least 2 years old, way longer than you could ever imagine to get from a Crank Brothers Eggbeater, but now they had had enough. Our last stop of the weekend was Dottignes and the Hellcross. I learned several things this weekend, and many of them came here. 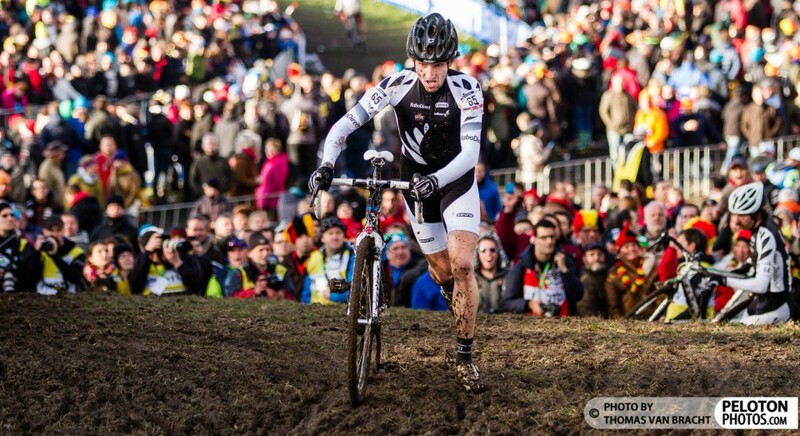 For instance how many different kinds of mud that Belgium can produce in quite a small area. That you have NEVER really tasted a waffle until you have tried one of the crack waffles served at the Hellcross. That drinking beer while racing is only really bad if you are racing hard, if you remember to take it easy then the beer flows down a little better. 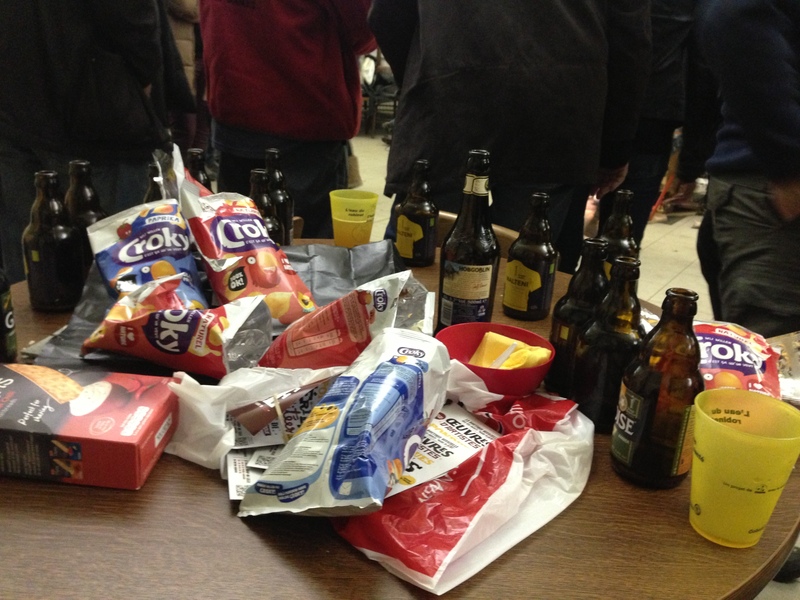 That drinking while racing is ALWAYS better in Belgium than it is in Italy (that goes for most other countries too). That eating French Onion Soup with croutons in the lunch break between races isn’t such a good idea when the 2nd race involves more drinking. That croutons taste the same regardless of which direction that they are traveling. Finishing an evening of drinking with a 10.2% beer and then driving 11 hours the next day (without any help thanks mr no-drivers-license) isn’t a very good idea. 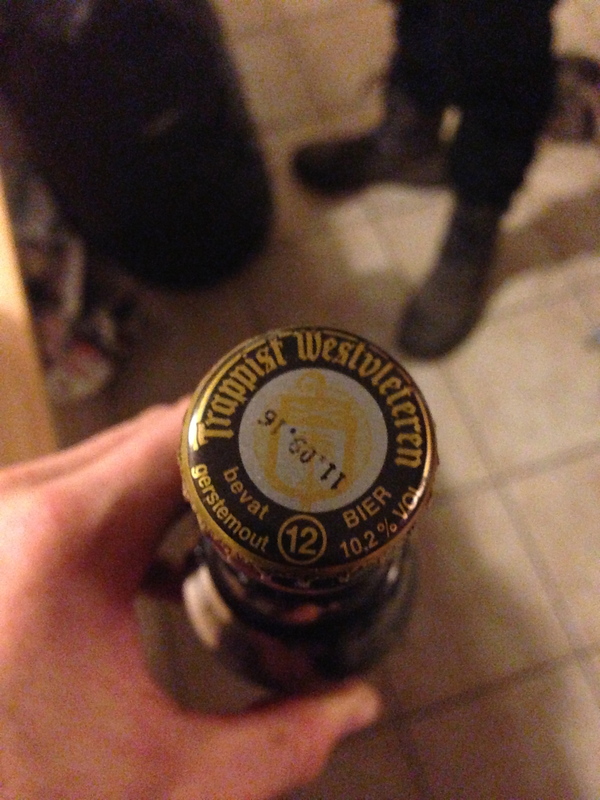 And that I have never felt more at home in Belgium than I do now. 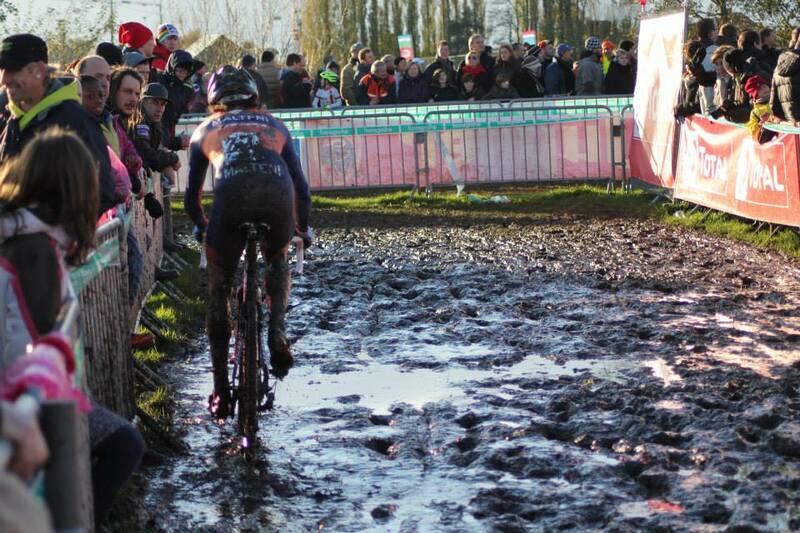 The course here was almost harder than Hamme Zogge, entirely because of the kind of mud to be found. I ran once in Hamme Zogge for about 6m after losing my line rather badly and being left with little choice if I was to maintain forward motion. 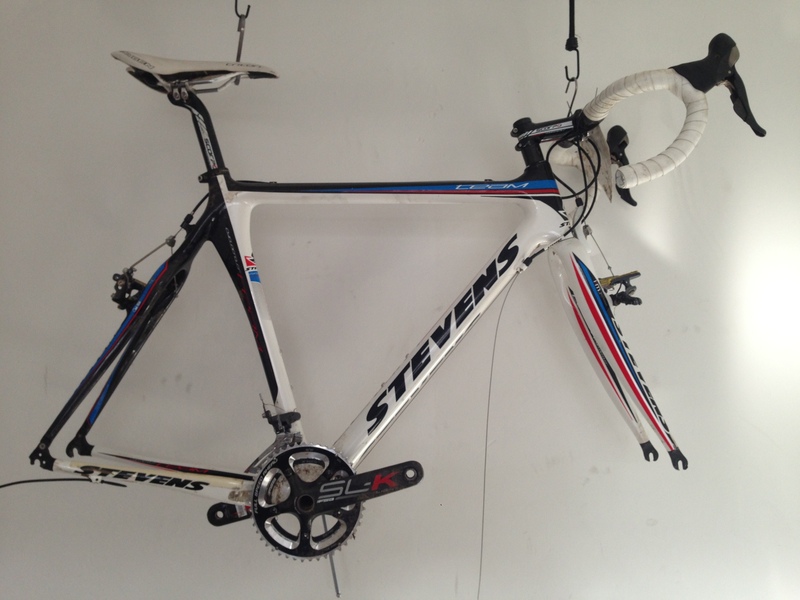 Here I ran for about 200m every lap, it just wasn’t worth trying to ride it it was so sticky. I had a great time watching the mountain bikes and especially the fat bikes trying to get a purchase in it, they just sailed around. The other difference here was the focus on fun more than anything else. Ok, it might have been a little serious out at the front, but that was about it. 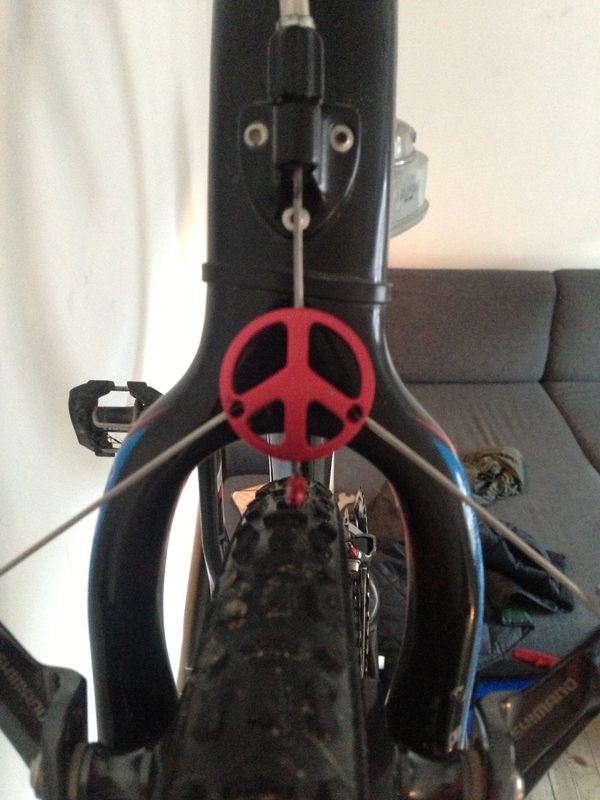 Charlie the Bike Monger was spotted in the 1st Single Speed qualifier, the 2nd SS qualifier, the geared race and the SS final. He was quoted as ‘wanting value for his money’ and also seem to ever get far past the beer short cut. For a nice summary of the race in photos then check out this post from Cycle Photos or this lovely collection on Flickr. We crashed at Nicolas and Hannelore’s place again, who had opened their doors to us and about 10 or 12 others (I had trouble keeping track). By the time that I had qualified (4 beers) had lunch (just 1 beer) raced and won (another 4) and then celebrated (don’t ask) there wasn’t much chance of getting home with the car. Don’t worry about that our hosts had that one under control too. This is where I learned my last lesson of the trip. When someone (I won’t mention any names but I will say that is wasn’t Nicolas) is standing telling you (it is a long time after bed time by now) that, yes there is a beer that is better than Orval, even harder to find than Orval and she just happens to be holding one in her hand, then it is ok to say no. I liked the race. We were the first team there, we got the choice of car parks, and people were friendly and helpful (although I did forget my race license there and am hoping they will send it on to me, so we will see) It was my first Cat.B race this season So aside from the French Champion (in his own bus) there were no big names. In fact the level of competition was such that as they read out the names (order based on UCI points) I was called on to the grid as the third rider. My race plan went completely out the window, I am not used racing ‘from the front’, all my tactics are based on starting at the back and working my way forward. There are exciting things that happen ‘at the front’ that I have never noticed before. VIP’s come up and meet the big name riders (the guy to the left of me and the Frenchman two to the right). but that was the end of the good stuff. To cut a long story short I was so tensed for the start of the race that when the gun went off I got such a shock that I quickly lost 6 places in the first 2 seconds, and another couple of places every few seconds until we hit the first swing. The race course was short, muddy and had two interesting sections that involved riding in two barns used for horse dressage. 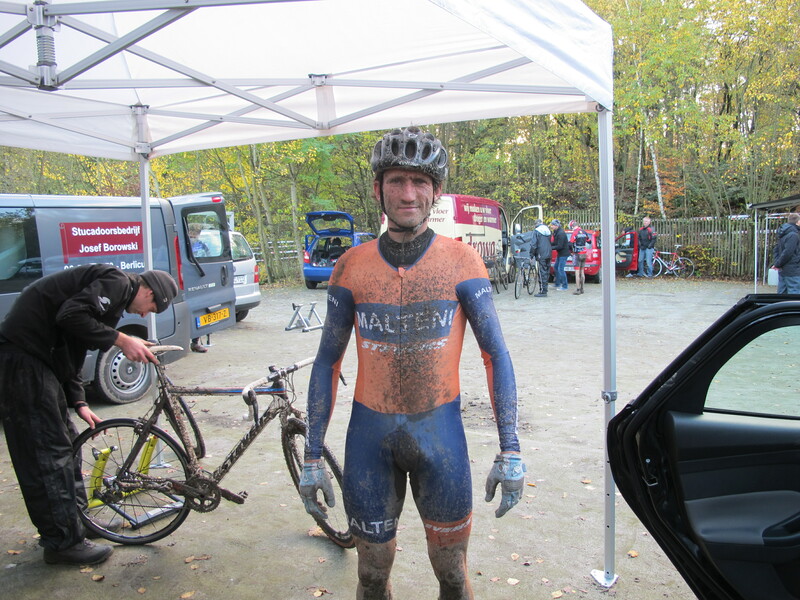 I came 17th in the end, an ok result in spite of a broken derailleur hanger. 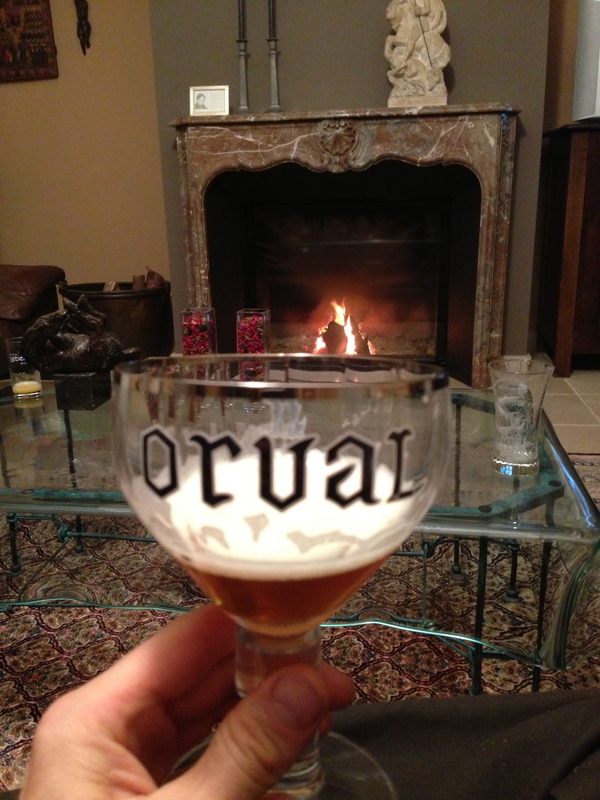 The next day after a five hour drive to Belgium, a couple of Orvals, and an amazing meal of ‘Dendermonde Sausages’ at Brams mum and dad’s place we had Hamme-Zogge, our 2nd Super Prestige race. I almost miss it now. 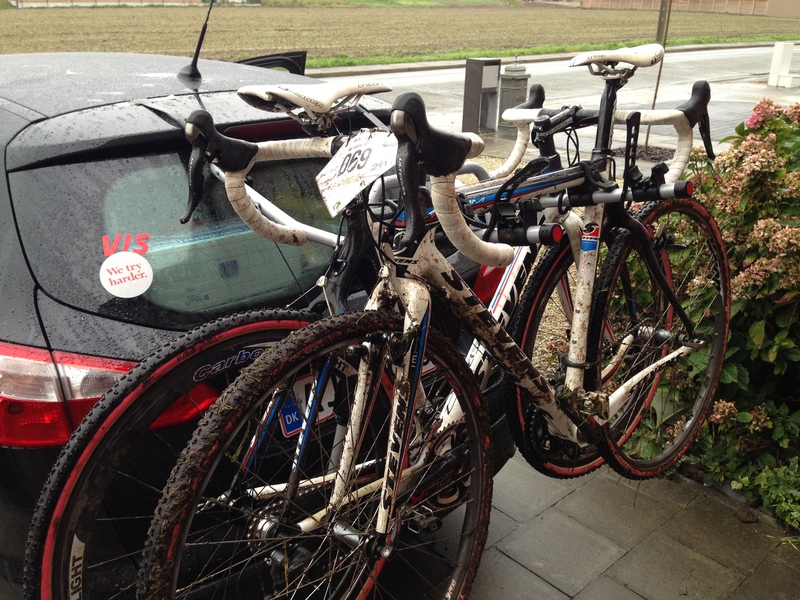 Yesterday I raced the BPost Trofee in Koppenberg. 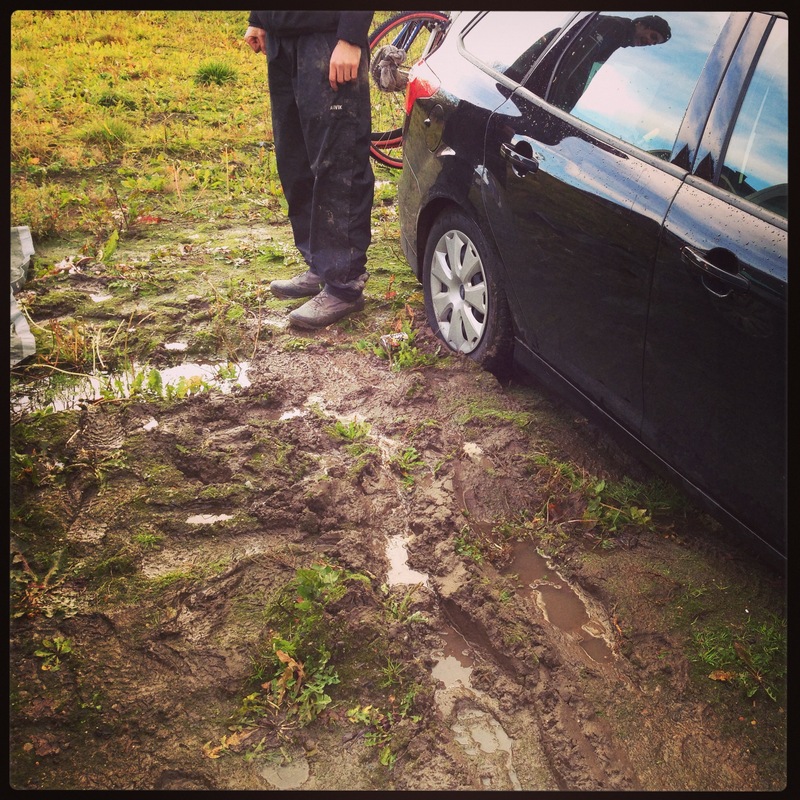 A famous race on a famous hill in the notorious Flanders mud. Our routine at preparing for the race has improved. 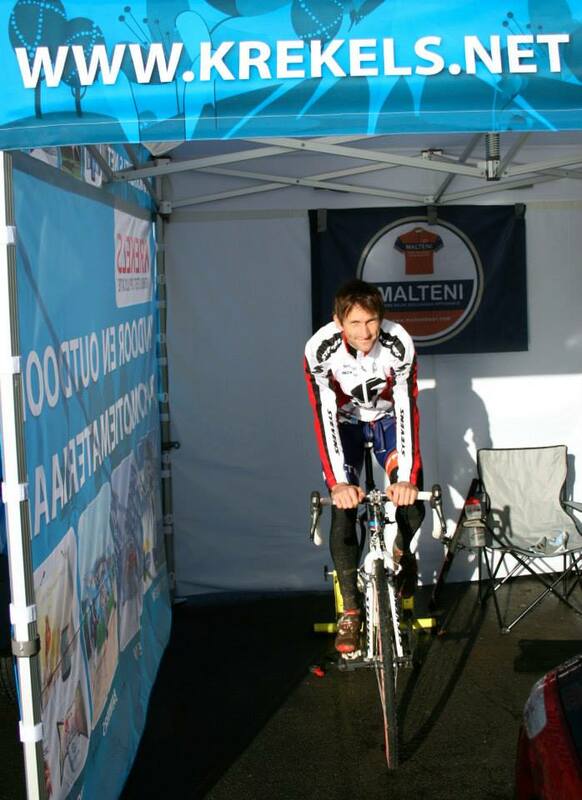 Our tent is now decorated with sponsor flags and my new skinsuit has arrived. Things were looking good! Well they were until I actually tried riding the course. It was brutal. Not as technically hard as Valkenburg but physically much harder. The ground there seemed to absorb every pedal stroke resulting in very little forward momentum. That plus the course sent us up the hill twice per round, the second time being the hardest, where a huge crowd had gathered to watch the lambs slowly climbing the hill. The first two rounds killed me and I was left wondering what I was even doing in Belgium. This changed a little though after I lost sight of the guy that came 2nd to last. Then I could concentrate on finding my own rhythm and a place that hurt slightly less, holding back on the flats to recover for the next climb, and letting loose on the descents. It was actually the descent, zigzagging down the steep back side of the hill that really made my day. If I hit it right then it felt like a kind of giant slalom, just on a bike, at times getting some good controlled (and uncontrolled) slides on the corners, hitting the apex of the turn and flying out towards the next one. 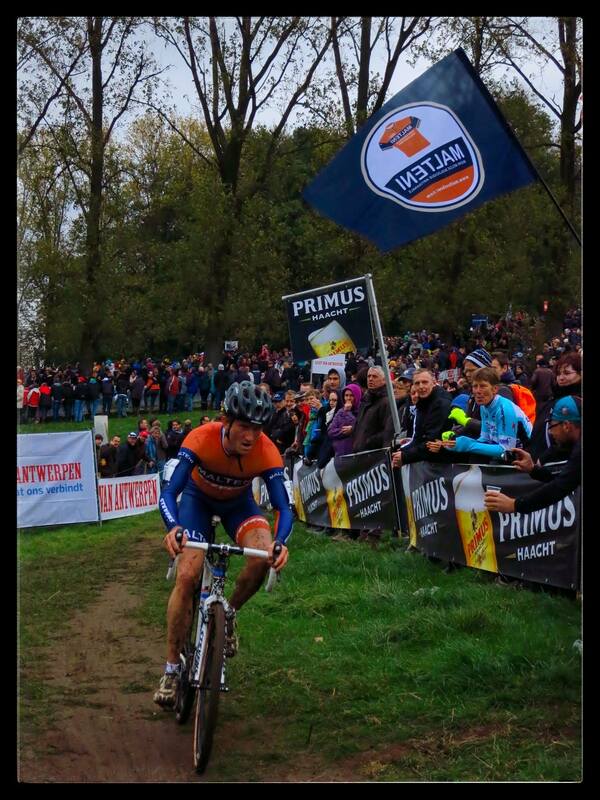 I will most definitely be looking forward to more racing in Belgium! !